There is nothing quite like your first car. We all dreamed of the fancy sports car or the ultimate luxury vehicle, cruising with our friends. Fast forward, what seems like a day, and here we are with teenagers. Import Auto works with many generations of families, so we get this question time and time again. We understand the milestone for both you and your teenager. We also know expectation levels can be very different, hey ours were too! Import Auto have some tips that will help you find the best car for your teenager. This is about considering what is safe, reliable and within your budget. Here are things to consider before your teen gets those keys. 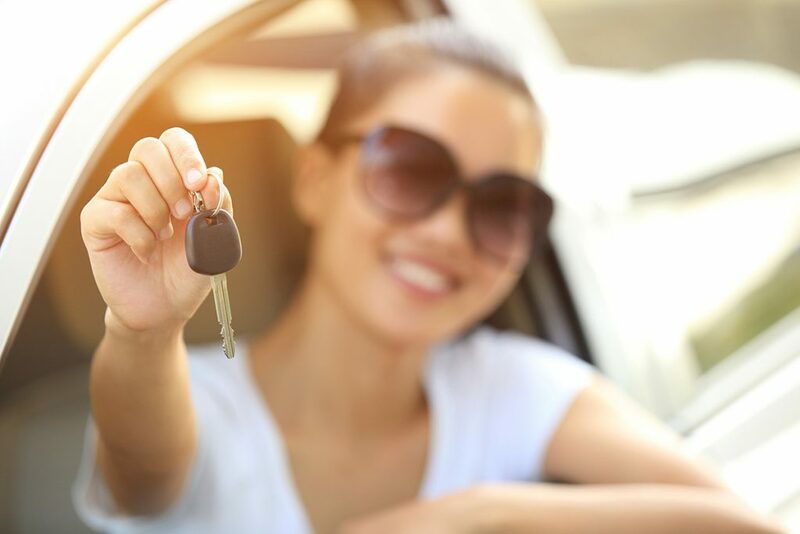 There are a few important points to consider before you even step onto the car lot to begin shopping for your teens’ first car. Some agencies, like the Insurance Institute for Highway Safety (IIHS) recommends bigger cars like SUV’s. However, other groups such as the American Automobile Association (AAA) advises against SUV and recommend midsize sedans instead. Read up on reviews and ratings. Stay away from high horsepower. Powerful, fast cars will more easily tempt teenagers to test limits. These smaller cars are usually lighter and fold under the smallest crash impacts. While your teen may balk at the sedan, you will rest easier knowing they are behind the wheel of a more practical vehicle. As we mentioned before some agencies, like the IIHS recommends larger cars like SUV’s. However, other groups such as AAA advise against SUV’s but recommend bigger midsize sedans instead. These cars are reliable and handle themselves better, and usually, have great safety ratings. Stability is key to safety. Make sure any car you review has electronic stability control (ESC). If it doesn’t, cross it off the list. This feature helps drivers maintain control on curvy, slippery roads. We advise you to use every tool available to dissuade your teen from talking or texting while driving. Many cars have Bluetooth technology, which allows your teen to answer calls through controls on the steering wheel. While we do not promote talking or texting while driving, there are emergency situations. This feature helps in those emergency situations. On average, an American car gets around 20 miles per gallon, which amounts to approximately $2,800 per year in fuel costs. There are many hybrid options that can really help your monthly fuel budget. A hybrid not your thing? With just a little extra research you can find many gas-only autos that boast fuel economy ratings of 40 MPG. Adding your teen to your insurance can put quite a dent in your wallet. So, be smart about the vehicle you choose. While a flashy sports car seems fun, it will cost you in monthly premiums. Cars with strong safety records, not only protect your teen but result in affordable insurance payments. While you might think this is most significant, and without a doubt it is important, it comes second to figuring out the aforementioned points on safety, etc. So, taking safety into consideration, now, what can you afford? We feel that for just under $10,000 you can definitely get a safe, reliable car that you can trust for your teenager. Keep in mind that this is a right of passage, so matter if this is a present or your teenager is working hard to pay for a car, enjoy the moment. You only get your first car once. If you are looking for any specific recommendations or have questions about the cars you are considering, contact us today. We can help you choose the best car for your teenager. We have been helping generations of parents make the smart choice.